Ex-Manchester United defender Mikael Silvestre has warned Anthony Martial against "doing a Paul Pogba" by leaving Manchester United. Pogba left the Red Devils for Juventus in 2012 having grown frustrated by a lack of first-team opportunities after outgrowing the club's reserve and youth teams. Martial, signed for a fee that could rise to £58 million from Monaco in the summer of 2015, enjoyed an impressive debut season in the Premier League but has found opportunities more difficult to come by under Jose Mourinho this season. Pogba enjoyed great success in Serie A, winning the Scudetto in each of his four seasons there and reaching the Champions League final, but Silvestre has told Martial not to consider a similar switch. "[He had] a very good season and adaptation to the Premier League and United," Silvestre told Talksport. "He had been their top scorer last season, but this year he's a different player. "He had a difficult summer with France - he had a game where he didn't perform and he was out of the team - and you have to remember the episode of getting his number [taken away] for [Zlatan] Ibrahimovic to take. He was not happy about that. "We always say when you have a good first season it's hard to [continue performing], and we have to put that on the fact he's still young and still learning. "I hope he keeps patient, and won't do a Pogba, like he did and head to Juventus. "He has to stick around and show his character. The character is about being courageous, stick to it and work harder - as he has been doing." 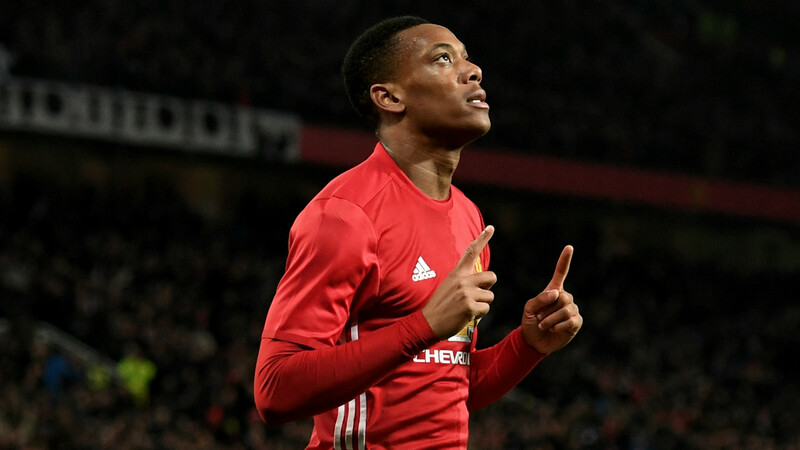 Silvestre believes that Martial also has two ideal role models to learn from at Old Trafford in experienced strikers Zlatan Ibrahimovic and Wayne Rooney. "[He can] learn from Ibrahimovic, and learn from Rooney, because those guys have done it and have got what it takes to win trophies," the Frenchman added. "It's the best place for a young striker to develop himself. It would be the same for Marcus Rashford."